Think what is at stake. The right we have to speak and think freely… all that would be destroyed. That is worth fighting for, don’t you agree? 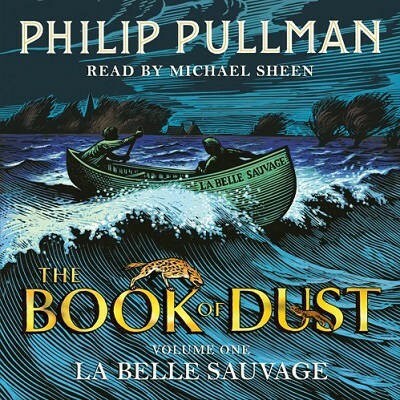 Set in the world so masterfully established by Philip Pullman in his trilogy His Dark Materials, La Belle Sauvage is a story of survival, where two children, with everything at stake, find themselves pursued by a terrifying evil. In their care is a tiny child, and in that child lies the fate of the future. Eleven-year-old Malcolm Polstead and his dæmon, Asta, live with his parents at the Trout Inn near Oxford, on the banks of the River Thames which Malcolm navigates using his beloved canoe, a boat by the name of La Belle Sauvage. Across the River is the Godstow Priory where the nuns live in quiet seclusion. But Oxford’s peace is about to be shattered. When Malcolm learns the nuns have an unusual guest with them, a baby by the name of Lyra Belacqua, he finds himself drawn into a dangerous world of secrets, intrigue and vengeance. A world where powerful agents compete for mastery of the elements that shape Malcolm’s world; above all, Dust - salvation to some, the source of infinite evil to others. Seventeen years after Philip Pullman’s third volume of His Dark Materials trilogy sealed the door on Dust, daemons, witches and armoured bears, a tantalising new beginning now lies open. A brand new chapter, as enthralling for fledgling Pullman readers as for ardent fans. The Lord of Dust, creator of daemons and spinner of the finest fairy tales, Philip Pullman is one of the world’s greatest and most influential storytellers. His wide-ranging body of work encompasses books for both adults and children. Find out more about Philip Pullman, The Book of Dust and His Dark Materials on our Philip Pullman page. The Lord of Dust, creator of daemons and spinner of the finest fairy tales, Philip Pullman is one of the world’s greatest and most influential storytellers. His wide-ranging body of work encompasses books for both adults and children, but he is best-known for the unparalleled achievement that is His Dark Materials and its forthcoming, eagerly awaited sequel, La Belle Sauvage, the first volume in Pullman's upcoming series The Book of Dust.